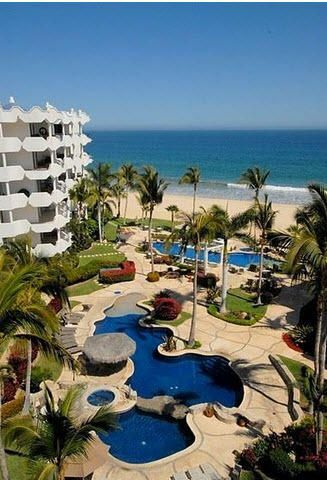 Mykonos Bay Resort is a resort and condominium development along the Tourist Corridor of San Jose del Cabo, Mexico. The condo is in a beautiful beachfront property providing residences amazing panoramic views of the Sea of Cortes. The development has multiple residential buildings as well as a beach resort that offers luxury amenities and facilities to guests and property owners. Condominiums in the complex range from one to three bedroom units with beautiful Mediterranean-themed architecture. The resort provides 24-hour security, parking, elevator access, and concierge service that residents will appreciate. The three buildings offer 67 privately-owned residential units. These condos are great rental properties for both families and individuals looking for an apartment in the area. The Mykonos Bay Resort is a world-class beach resort providing 5-star amenities for guests and residents in the development. The resort has a gourmet restaurant and dining area as well as comfortable lounge and common areas. The concierge staff provides a variety of conveniences including property management, housekeeping, 24-hour security, and rental services. The highlight of the condominium is the beautiful beaches of the Tourist Corridor. The ocean is perfect for swimming, sunbathing, and during the right season of the year, you can go surfing or whale watching. Other amenities in the resort include tennis and racquetball courts, fitness center, Jacuzzi, two swimming pools with one heated, and handicap access. The Resort located along the Trans Peninsular Highway allows residents to easily access many of the commercial establishments and tourist attractions in the Tourist Corridor. The closest golf club from the resort is the Club Campestre San José. The golf club features a beautiful championship golf course, driving range, clubhouse, restaurant, tennis courts, and swimming pool. There are several shopping malls in the area including La Jolla Shopping Center which is a short walk from Mykonos. 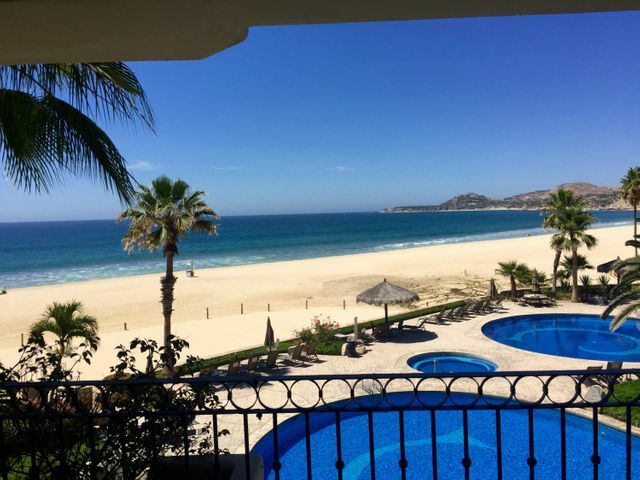 Schools close to the Mykonos condominiums are mostly in the town center of San Jose del Cabo. The city provides a good number of private and international schools that serve local and foreign families living in the area.